Written by Jin Won Choi on Nov. 23, 2015 in Book Reviews. Almost a year ago, I read a book called "Quantitative Value" by Dr. Wesley Gray and Tobias Carlisle. It remains one of the best statistically oriented investing books I've read to this date. So when Dr. Gray released a new book and offered to give the first copies away for free, I jumped at the chance. In this article, I will review the new book, titled "DIY Financial Advisor - A Simple Solution to Build and Protect Your Wealth", written by Gray, Vogel and Foulke. Written by Najim Mostamand on Sept. 28, 2015 in Book Reviews. Last update on Sept. 28, 2015. F Wall Street: Joe Ponzio’s No-Nonsense Approach to Value Investing for the Rest of Us is a book written by Joe Ponzio, which outlines an alternative way of thinking about investing: seeing a stock as an ownership to a business, not the obscure number markets regularly push higher or lower through forces unknown to the majority of its participants. Written by Najim Mostamand on Aug. 17, 2015 in Book Reviews. Last update on Aug. 17, 2015. 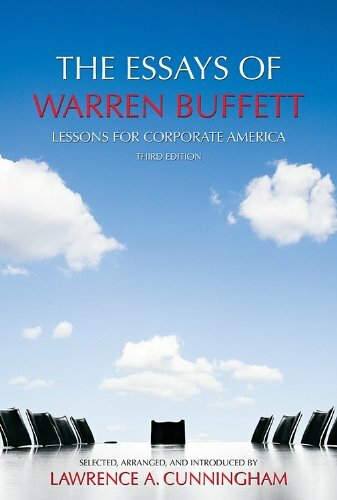 Strategic Value Investing: Practical Techniques of Leading Value Investors is a comprehensive book outlining the main tenets, strategies, practitioners, and valuation models comprising the world of value investing. Written by Najim Mostamand on June 18, 2015 in Book Reviews. Last update on July 10, 2015. Getting Started in Value Investing is a book written by Charles S. Mizrahi, Managing Partner of CGM Partners Fund LP and Editor of Hidden Value Alert, a value-oriented advisory newsletter. Written by Najim Mostamand on June 4, 2015 in Book Reviews. Written by Najim Mostamand on May 21, 2015 in Book Reviews. Written by Najim Mostamand on May 7, 2015 in Book Reviews. Last update on May 7, 2015. Imagine you’ve been invited to attend an exclusive value investing conference, featuring some of the world’s most successful and renowned value investors. You share a limo with Joel Greenblatt; sit next to Seth Klarman at a workshop; have the soup du jour with David Einhorn; and listen to Bill Ackman and others light up the ballroom tables with anecdotes of the ‘08 meltdown. That’s sort of what it feels like reading The Art of Value Investing: How the World’s Best Investors Beat the Market.